No matter what crazy projects Google works on, Search is still the company's bread and butter. Over the years, it's continued to build up the good old Google Search page with small but useful improvements. The latest of these is a change to the way its built-in dictionary operates, separating it out from the main search function. 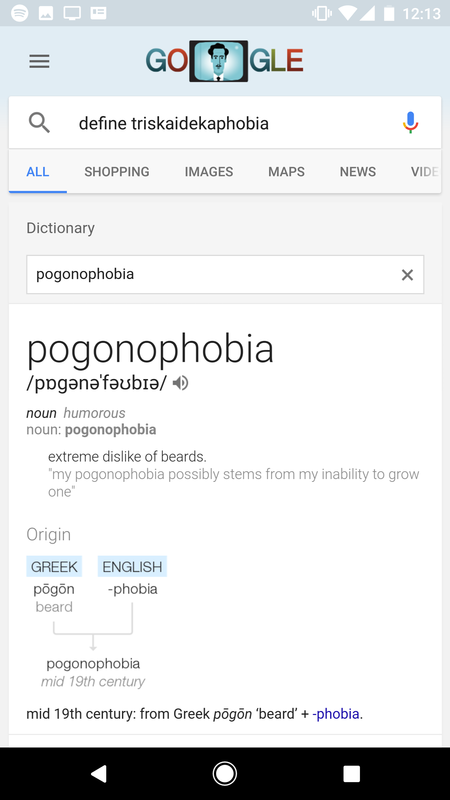 Adding 'define' before or after another word or phrase causes Google to pull up dictionary results for that query, both from the web and its own dictionary. 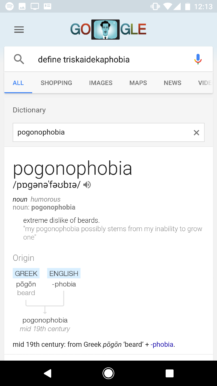 If Google has a definition for the word, it'll show up on a separate card above the web results. 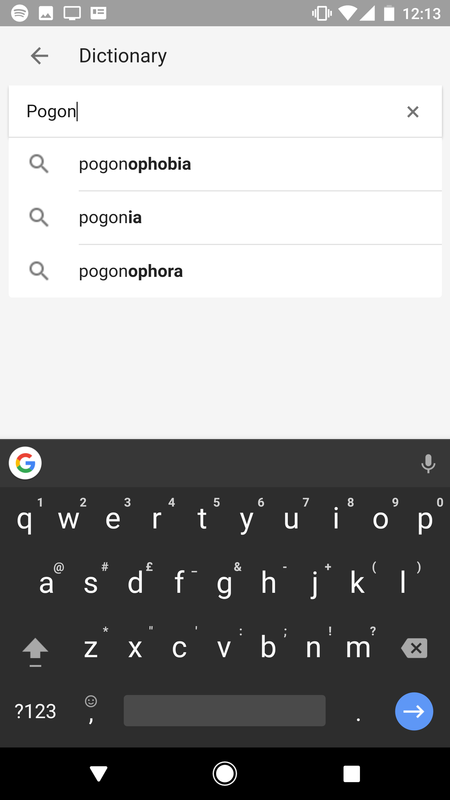 The card now has a distinct search box that specifically calls up a dictionary search when anything is entered. 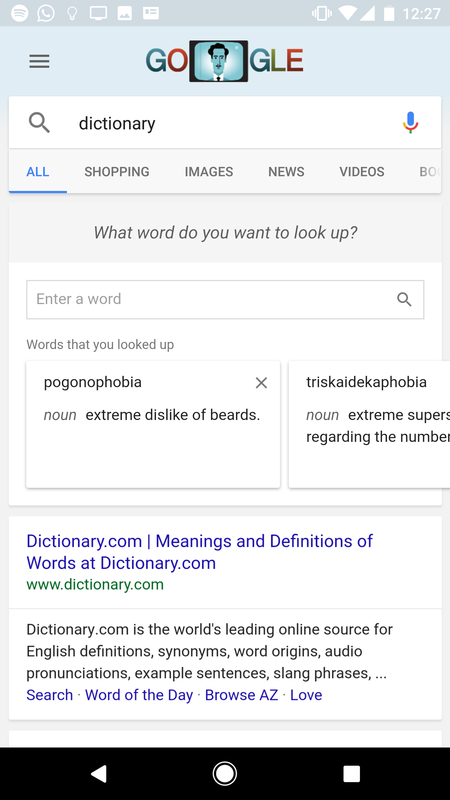 You can bring up the card without an exact query by simply searching "dictionary." There's also a history of your recent searches, which is pretty useful. 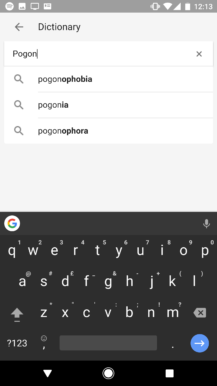 When you type in the dictionary search field it will offer you handy autocomplete suggestions. 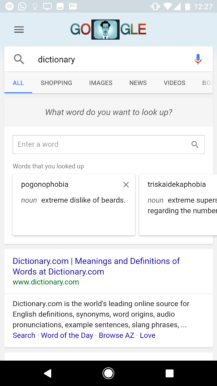 Also, anything you search directly from the dictionary box will open with an expanded card when you hit enter, rather than the collapsed view you initially get when you use "define something" in the main Google search field. If a word or phrase isn't found in Google's dictionary, you will only see web results with no card, just as before. 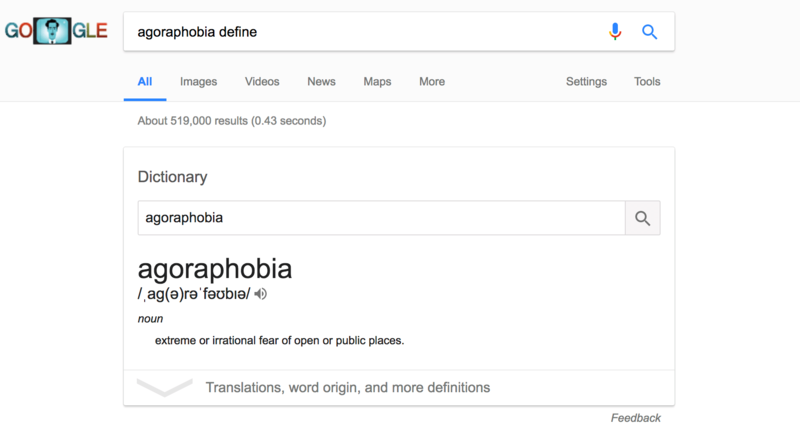 It doesn't know the word 'myrmecophobia,' for example, which is terribly disappointing. A couple of readers have seen this new behavior and it's already working for me on desktop and mobile (both in the Google app and Chrome), so it should be rolling out to everyone shortly. It will likely be a staged rollout via a server-side switch, so no apps to update or anything like that. Let us know if it's working for you and if you have any strong feelings about it.